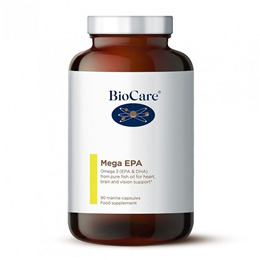 BioCare Mega EPA is a high potency fish oil capsule providing omega-3 fatty acids in a natural triglyceride form, naturally concentrated using NEO - a unique lipase enzyme process which results in a fish oil of outstanding quality and high potency. Mega EPA is ideal for daily use but can also be used during pregnancy. 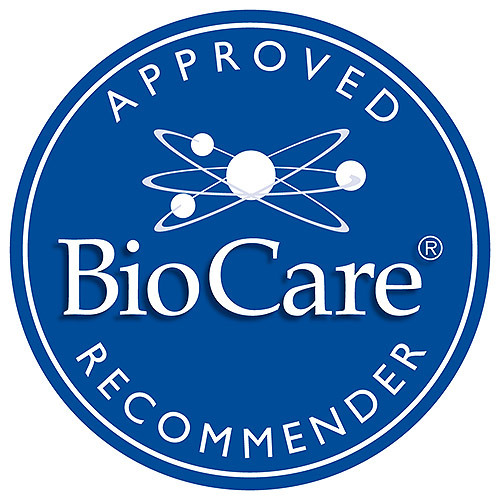 Emulsified using our unique BioCare® BioMulsion® process, dramatically increasing the bio-availability of the oils. Utilises our `Multox` antioxidant system for enhanced stability. Fish Oil*, Capsule Shell (Fish Gelatin* and Glycerin), Sweet Orange Oil, Natural Mixed Tocopherols**, Sunflower Oil. Take 1 capsule twice daily with food, or as professional directed. 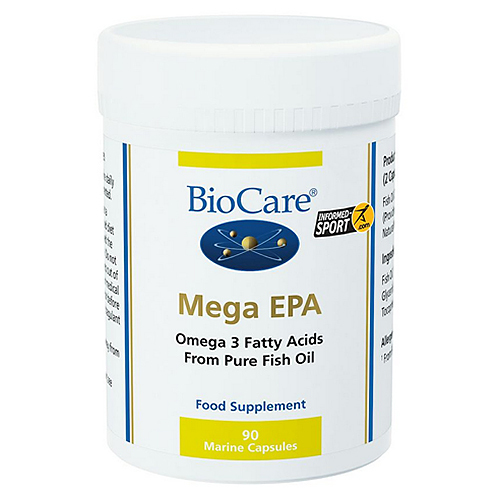 Below are reviews of Mega EPA - Omega 3 from Pure Fish Oil - 90 Marine Caps by bodykind customers. If you have tried this product we'd love to hear what you think so please leave a review. Excellent product. I will definitely purchase this again.